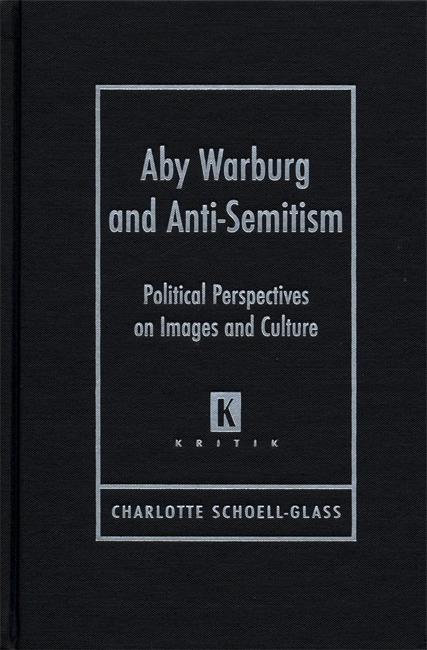 In Aby Warburg and Anti-Semitism, Charlotte Schoell-Glass provides an unprecedented look at the life and writings of cultural critic Aby Warburg through the prism of Warburg’s little-known political views. Schoell-Glass argues provocatively based on archival research that Warburg’s work and teachings developed as a reaction to the growing anti-Semitism in Germany, which he saw as a threat to classical education and university scholarship. Translated into English for the first time, Aby Warburg and Anti-Semitism sheds much needed light on Warburg’s views on Judaism and the politics of his time. Aby Warburg, scion of a well-known Jewish banking family in Hamburg, sacrificed his birthright to pursue a career as a private scholar. As an independent art historian, he devoted himself almost exclusively to reinterpreting the revival of antiquity within the Renaissance, urging other art historians to approach their work as a brand of the larger study of image making and philosophy. In this study, Schoell-Glass examines Warburg’s most influential essays on Dürer, Rembrandt, and the Sassetti Chapel and his most innovative concepts—the accessories of motion, the pathos formula, and the afterlife of antiquity—to illustrate how Warburg persistently showed a deep concern over a disappointing and unstable outside world within his own work. Schoell-Glass shows how Warburg attempts to make a response to anti-Semitism the only way he knew how, despite his awareness of the diminishing societal relevance of that response. From this study of Warburg, Schoell-Glass produces a multilayered case study of the encounter between twentieth-century politics and scholarship. Art historians, German historians, and scholars of Jewish studies and cultural studies will be grateful for this volume. Charlotte Schoell-Glass is an art historian teaching at the University of Hamburg and has published extensively on Aby Warburg.